If you got engaged over the holiday season, you are likely realizing now how much you have to do in 2014! Party Plus is here to help! Planning a wedding can seem overwhelming at first but with a few tips and an organized approach (thank you, Pinterest!) you can make your big day, the best day. To get the perfectly picturesque wedding you’ve been dreaming of, you may want to think of hiring professionals for at least some of the planning. Meet with a few and be completely honest about what you want and how everything fits into your budget. There’s no use tip toeing around budget constraints that could become an issue later down the road. Talk it over with your trusted friends who’ve already been through the planning process and ask them for any recommendations. You may be able to have a wedding coordinator for some of the dirty work and still do a lot of the more fun DIY tasks yourself. 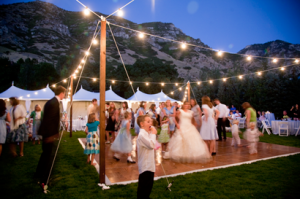 The guest list, and more importantly, the size of the guest list, is a vital first step to planning a wedding. Your vendors will need to know how many people are seated where and how that can ripple through the rest of your plans. Get advice from people you trust but remember to not bend over backwards for each guest’s every wish. You single friend may not be able to bring their plus one if your guest list is already bursting at the seams. Do what makes the most sense for your budget and game plan. There is a reason for what is known as “wedding season.” If your wedding is going to be inside from start to finish, there is less worry about whether the weather will cooperate. 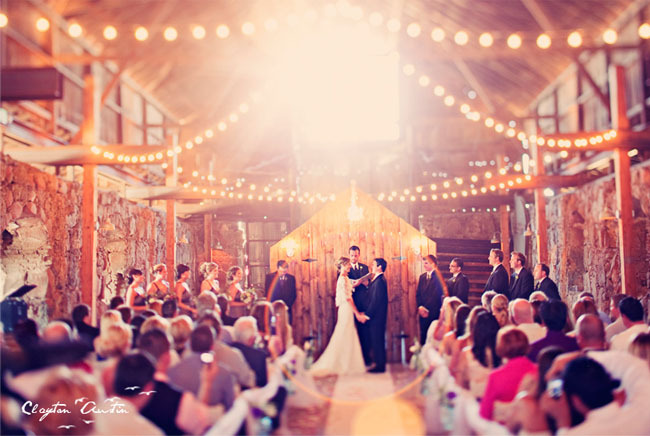 But if your wedding is outdoors, (which is becoming more and more popular, especially with all the tenting options available) you may want to take a close look at the farmer’s almanac and weather trends to try and pick a safe date that isn’t uncomfortable for guests. No one wants to be dripping with sweat or shivering in their wedding photos. Now for the fun part! When it comes to color schemes and décor options, the sky is the limit. 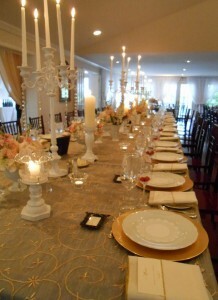 There are so many themes and creative ways to use linens, tables, chairs, draping, you name it! Working with a team of professional vendors will help your vision become a reality for your dream wedding day! Be sure to check out our online inventory and let our Special Events Consultants answer any questions you may have.